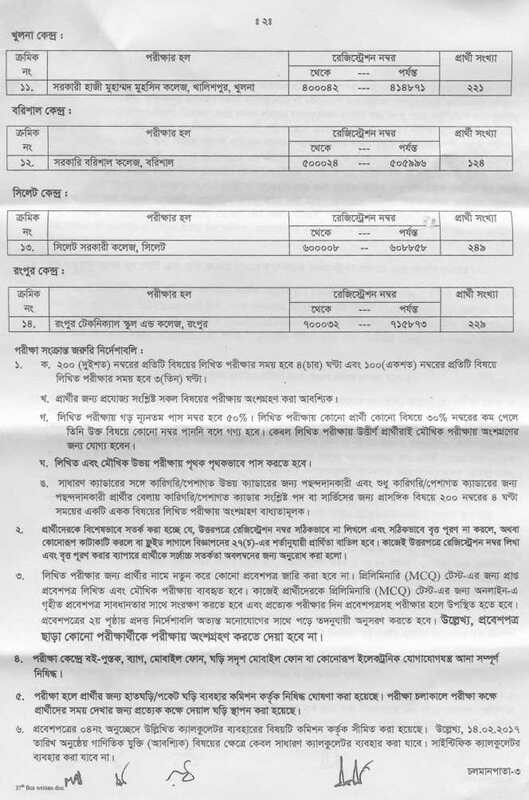 Bangladesh Civil Service (BCS) published 37th bcs written exam seat plan at www.bpsc.gov.bd . 37th BCS exam Will be held on 12 February 2017. BCS exam center and Exam Date are available on my website at bdeducationinfo.com . 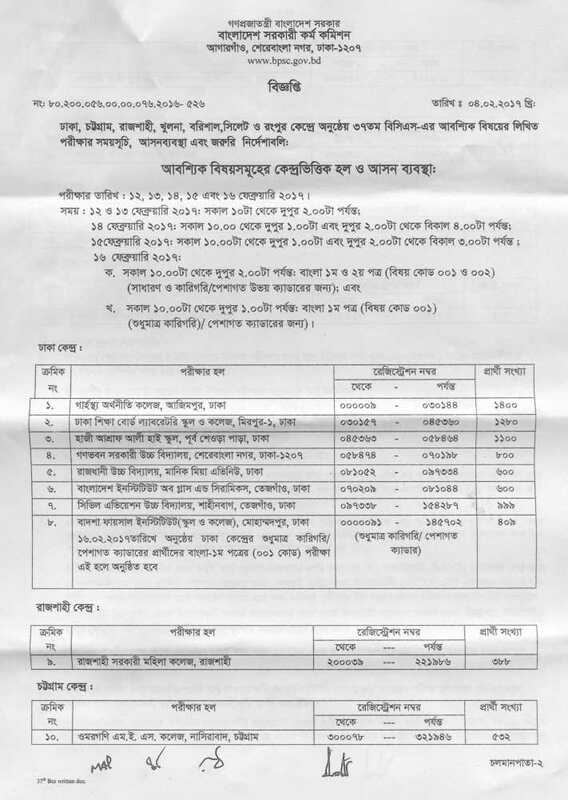 Exam time duration and mark distribution listed below this original notice. You can Download this Full notice as a PDF file. Student Must download there 37th BCS exam admit card from bpsc official website. If you forget your User ID or Passward check Passward Recovery Option. For Next Updates about BCS written exam seat plan , BCS Exam Result, Notice visit this website. Thanks for Stay with us. This entry was posted in Notice and tagged bcs exam by admin. Bookmark the permalink.